Are you thinking of where to host your wedding in 2015? Then look no further than the community of Manningham. The Carlisle Business Centre offers a fantastic versatile space to help you create your ideal wedding day with a function room that not only offers you a blank canvas to work on but also a customer service team who are on hand to help and support you on your special day. Mr and Mrs Ali, from Bradford, experienced the first class service on their special day on 17th August 2014, saying they had a ‘fantastic time at the centre’ and ‘could not have felt more accommodated’. 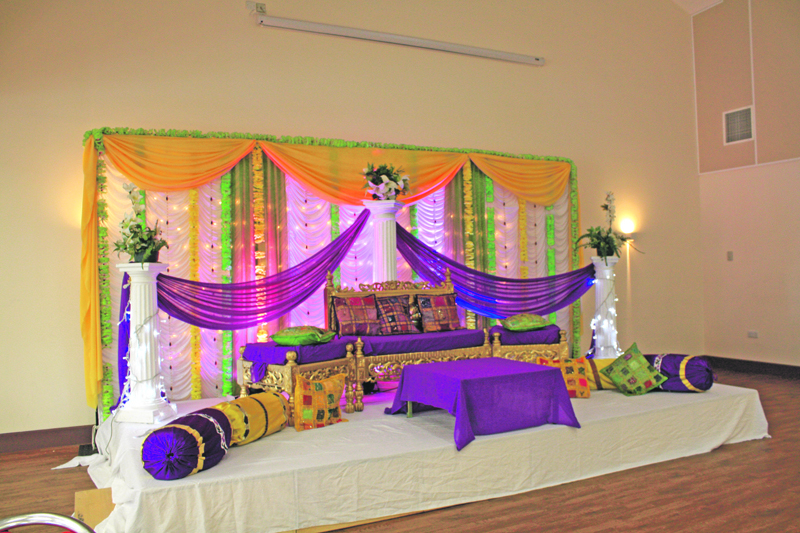 They explained: “The centre itself has a lot to offer, in terms of help and services in the wedding planning process. Also the spacious car park which is free for your guests to use when they are attending your wedding was a big deciding factor and this is the first thing we noticed on arrival when coming to visit for the first time before we booked our wedding. 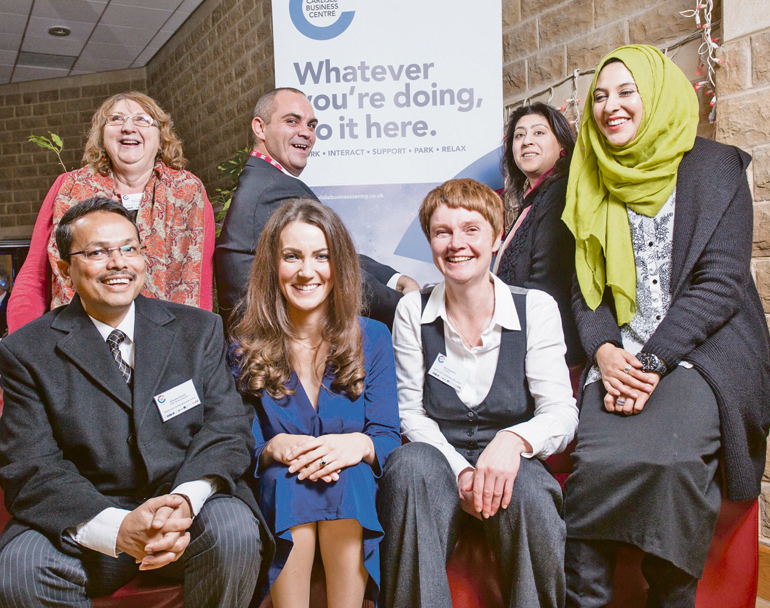 “We then met with Shazia, Events Co-ordinator at Carlisle Business Centre who helped point us in the right direction and she explained that the centre itself has many services that it can offer. “We were pleasantly surprised by this; car hire, invitations, make-up, beauty treatments, lighting, catering and many more. This made our lives much easier knowing that we had a list of trusty suppliers, on-hand. “When we were shown the function room prior to booking, we noticed the Prolegis Suite had fantastic lighting and high ceilings which made an ideal setting for our wedding breakfast. Shazia also explained that there were partitions in the room so we could split this in half, whilst AV and speakers would be available for us to use at the centre. “On the actual wedding day itself Muffassar looked after us by helping our guests on arrival and during the time we spent at the centre. Families from all over Bradford visited the Carlisle Business Centre earlier this month as a youth club helped raise more than £2,000 for charity. ‘Raising Explorers’, an Ofsted regulated after-school learning and childcare club, hosted their own Spring Bazaar in Manningham, with stalls and activities run by students and teachers. The event was organised with the hope of raising funds for the ‘Keep Syria Warm’ campaign which looks to help the millions affected in the war-ravished country. Children who attend Raising Explorers, which is based at the Carlisle Business Centre, were instrumental in making the day a true success helping to ensure everything ran smoothly. A number of stalls were on show in the special bazaar which included, amongst others, a variety of clothes stalls, a bouncy castle and face painting. Even food stalls were set up to ensure shoppers could try different snacks as well as food and delicacies ranging from a chocolate fountain to spongy cakes. Entertainment during the event included a performance of Nasheeds by the children; which they had been preparing for in the run up to the event. In total, the event, organised in partnership with Intouch Foundation & al Hikmah project, raised £2,750 for the cause. Khalil Shah Manager from Raising Explorers said; “The turnout at the event was amazing especially considering the short space of time the event was put together. “The turnout was tremendous, with hundreds of local people in attendance throughout the duration. “I would like to express my appreciation on behalf of the staff and students to the team at Carlisle Business Centre especially Dom for his efforts, the local community for their continued support. “We had reached out to local businesses and asked for their partnership in making this event a success. Over 250 guests attended the Rediscover Carlisle Business Centre event on Thursday 21st November. The event was held to celebrate the centre’s new brand and identity and to mark its 21 years of serving the business and local community. The Lord Mayor, Cllr Khadim Hussain among other local councillors, Bradford businesses owners and people from different faith communities enjoyed a night of entertainment and networking. Based in Manningham, Carlisle Business Centre is a landmark, former textile mill and is recognisable by its distinct tower clock. Guests enjoyed a variety of entertainment including being greeted by the Duchess of Cambridge, Kate Middleton (look alike Heidi Agan), live music from Anjaana, a Punjabi and folk band, accompanied by solo dancer/actor, Rafi Usman who also had his exclusive film screening of ‘Love is Never Easy’. As well as entertainment, guests were able to explore the Business Centre, its space and opportunities it can offer. Guests also opted for VIP tours led by Carlisle Business Centre’s voluntary directors. It operates as a not for profit organisation offering business support and affordable, flexible office space for businesses, social enterprises and charities. It also provides meeting, training and events space for business and social use including weddings, Mehndis and birthday parties.